The Furniture Classics 91-010-4 Chocolate Aberdeen Chair is available in Hickory Park's, North Carolina Furniture Galleries. Hickory Park may be restricted from showing prices, however please select the Click For Quote button and Hickory Park Sales and Design Staff will reply or please call (828) 322-4440 for more information. Wood type: Timeless barrel design is made current with the use of slender light oak legs and a distinctive diamond quilt design on this sleek chair The bittersweet chocolate micro fiber fabric provides a punch of contrast Need a hug? Sit here! 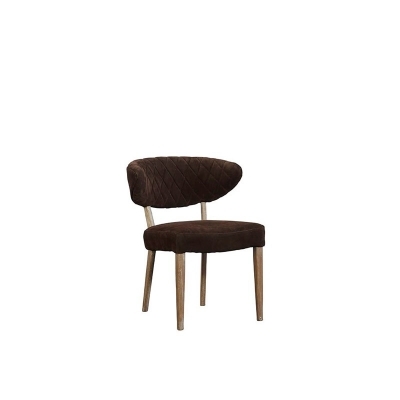 Click here to receive price quote for Aberdeen Chair 91-010-4 item.